This fully furnished condo is a must see and only 1.3 miles from downtown Asheville! Cute as a button condo with sweeping mountain views from this 5th floor residence. Did we mention breathtaking views . . . . This highly efficient and compact unit will not disappoint. Featuring a full kitchen including a dishwasher and full size refrigerator. 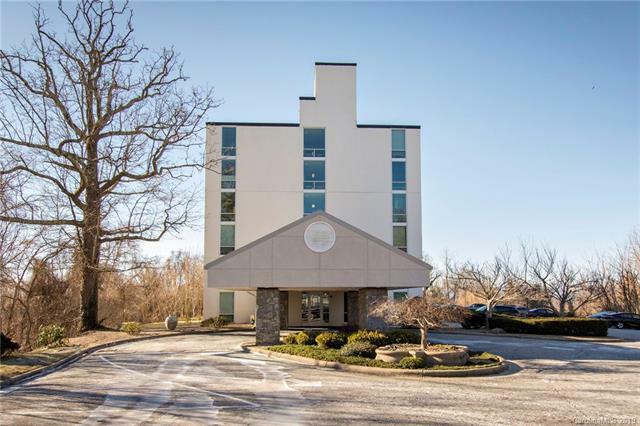 This complex offers a secured locked access lobby, seasonal pool, elevator, separate community laundry facilities on the 4th and 6th floor, and a portico for easy luggage and grocery drop off. Dues include water/sewer and trash. One assigned parking space per unit with abundant guest parking. Sorry . . . no pets allowed. Rental cap has been met. Perfect location for cyclist with access to Town Mountain Road, Blue Ridge Parkway, and Elk Mountain Scenic Highway. Dont let this condo pass you by . . .